AllergyAllergy is the result of reactions that occur between the immune system of the human and the outside substances. The substances may look very harmless but the pain and the irritation can cause severe discomfort. The symptoms of allergy will vary from red eyes, itching, and eczema. The common allergy is due to dust particles, when it comes in contact with our external organs like eyes or nose and internal organs like lungs. Sometimes, a particular kind of food item can also be the reason of allergy. Some allergic diseases are the result of genetic disorder. 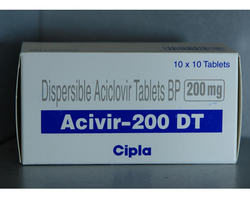 Acivir DT Aciclovir is an antiviral used to treat shingles, chickenpox, or genital herpes. It may also be used to treat other conditions as determined by your doctor. 200 mg, 400 mg and 800 mg.
Cyproheptadine HCl is an antihistamine drug that reduces the chemical histamine in the body. Histamine is a natural chemical which is secreted by the mast cells in the body and triggers allergic symptoms such as sneezing, itching, watery eye, or runny nose. Prior to taking Cyproheptadine HCl, let your doctor know if you frequently use other medications that induce sleep like medicines for cold, allergy, , narcotic pain killer, pills, drugs for depression, anxiety or seizure; or muscle soothers. 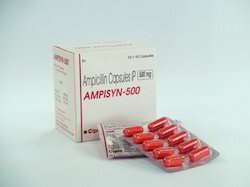 We are among the pioneers in the industry, engaged in offering Ampisyn 500 to our priceless customers. The offered capsules are formulated in a hygienic environment, using optimum quality inputs and sophisticated technology. Made available in protective blister packaging, these capsules retain their quality till they are consumed by the patients. Celecoxib capsules are used for the relief of signs and symptoms of rheumatoid arthritis, osteoarthritis and ankylosing spondylitis in adults. 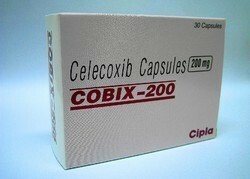 Celecoxib capsules belong to a group of medicinal products called nonsteroidal anti-inflammatory drugs (NSAID), and specifically a sub-group known as (COX-2) . 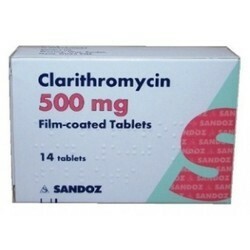 We are engaged in the export and trade of a vast collection of Clarithromycin Tablets that are used for the treatment of bacterial infections. Hygienically prepared and packed under the supervision of experts, the offered tablets work by killing the bacteria. 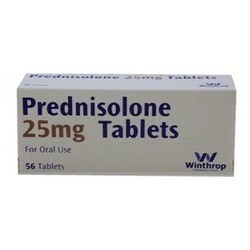 The offered medication is extremely popular for its quick and effective results. 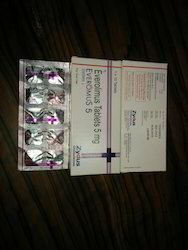 It is advised that these tablets should be taken as per the doctor’s recommendation. Mometasone Furoate, also sold under the brand name Asmanex, Elocon among several other brands, is a corticosteroid drug. The anti- inflammatory actions of the drug is helpful in treating inflammatory skin conditions such as dermatitis or eczema. 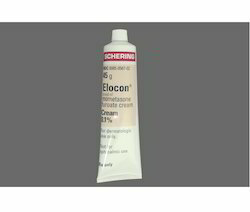 This topical drug is sold under various brand names in the market. 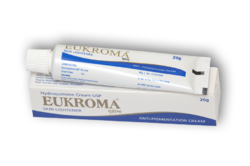 We offer a wide range of Eukroma Hydroquinone 4% Cream that are prepared by a perfect combination of vitamins, aromatic and essential oils. The nourishing factor of our products strengthen rejuvenation process of replenishing the essential nutrients in the skin. Offered at market leading prices. 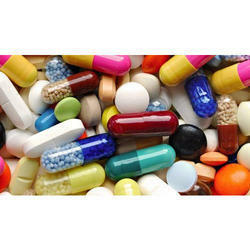 We are identified as one of a prominent wholesaler, trader, retailer and exporter of Fexigra Tablets. Fexofenadine is an antihistamine and it works by blocking a substance in the body called histamine. It is used for treating seasonal allergy symptoms such as sneezing, runny nose, itchy throat and watery eyes. It is also used to treat hives and skin itching. Besides, our range helps to decrease allergy symptoms. 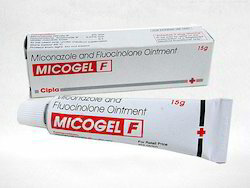 Miconazole is an imidazole antifungal agent, developed by Janssen Pharmaceutica, and commonly applied topically (to the skin) or mucusmembranes to cure fungal infections. It works by inhibiting the synthesis of ergosterol, a critical component of fungal cell membranes. It can also be used against certain species of Leishmania protozoa (which are a type of unicellular parasite), as these also contain ergosterol in their cell membranes.